Hyaluronic acid might be the solution to your dry skin woes. Skin care fads come and go like the seasons, but as someone with combination skin, I love to try them all—particularly in the winter, when indoor heating ratchets my issues up to 11. If light therapy acne-zappers and face masks soaked in snail slime can make me glowy and balanced, I’m willing to find out. Luckily, some of these trends, like hyaluronic acid, are backed by real science. 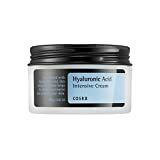 After I noticed the ingredient popping up in moisturizers and serums across drugstores and luxury beauty stores alike, I decided to try the Cosrx Hyaluronic Acid Intensive Cream on my own dry skin. After just a few days, I was hooked. I spoke to some real dermatologists and beauty experts to find out what exactly how hyaluronic acid works, why it’s so popular, and what it can do for your skin. Also referred to by its water-soluble salt form, sodium hyaluronate, hyaluronic acid (or HA) is a gel-like water-holding molecule and moisture-binding ingredient that helps keep skin plump and hydrated. Because it occurs organically throughout the human body (with the highest concentration in the fluids in our eyes and joints), hyaluronic acid is naturally compatible with our skin and less likely to cause irritation than other moisturizers. "Hyaluronic acid can hold up to 1,000 times its weight in water." Essentially, hyaluronic acid is a safe, biocompatible ingredient that happens to be dry skin’s worst nightmare. What are some hyaluronic acid benefits? If you have sensitive combination skin like me, the thought of introducing a new topical ingredient can be harrowing. Luckily, experts agree that HA is safe for most skin types, including those with acne and eczema. "Dermatologists agree that hyaluronic acid is safe for most skin types." Don’t just grab any HA product without reading carefully, however. “If you have acne, the key to buying hyaluronic acid products is making sure the other ingredients don’t exacerbate your condition,” says Dr. Mudgil. As always, you should spot-test any new skin care products you purchase before working them into your routine. 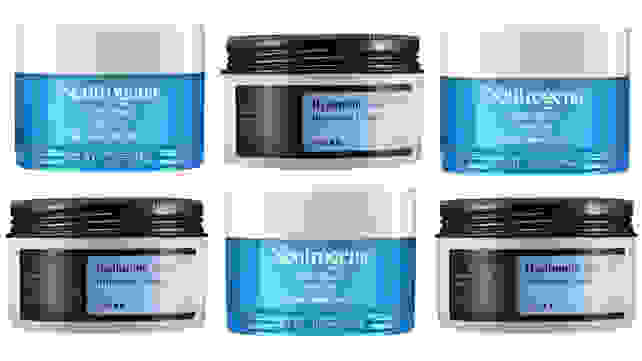 What are the best hyaluronic acid skin care products? Luckily, you don’t have to go far—or spend a chunk of your paycheck—to get quality hyaluronic acid products on your beauty shelf. Both Dr. Mudgil and Dr. Bard recommend Neutrogena Hydro Boost Moisturizer ($16) to their patients suffering from flaky, unbalanced skin on their faces. Thousands of reviewers agree—it's Amazon's top-selling face moisturizer. Dr. Mudgil also recommends CeraVe Daily Moisturizing Lotion with Hyaluronic Acid ($10) for those with all-over dry skin. Looking for something a little fancier? I’m a big fan of both Cosrx Hyaluronic Acid Intensive Cream ($19) and Glossier’s Super Bounce ($28), a serum loaded with hyaluronic acid and vitamin B5. Whichever product you choose, your dry skin will thank you.